Derived from the BMW K 1600 B, the brand new K1600 Grand America extends the BMW Motorrad product range in the full dresser touring segment. This motorcycle was especially developed for comfortable touring and unites the supreme performance of its 6-cylinder engine and exclusive equipemnt elements which enable comfortable and luxurious traveling in the style of "American Highway Cruising". 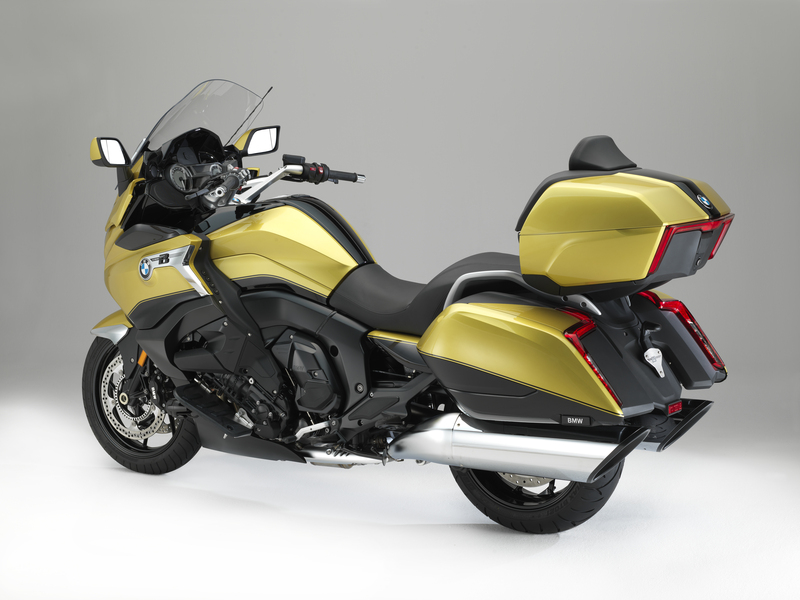 The new K1600 Grand America takes up the shape of the K1600B and complements this shape by some unique characteristics. Distinctive elements are the dynamically elongated side line that slopes evenly down to the rear and the drop-shaped silhouette created from the visual link between the high-rising windshield and the low positioned side cases. The Chrome-plated rear silencers are arranged parallel to the road and the top case offers a backrest for the passenger. An additonal brake light is integrated in the top case. This brake light builds a visual unity with the brake lights and turn indicators that are integrated in the side cases. 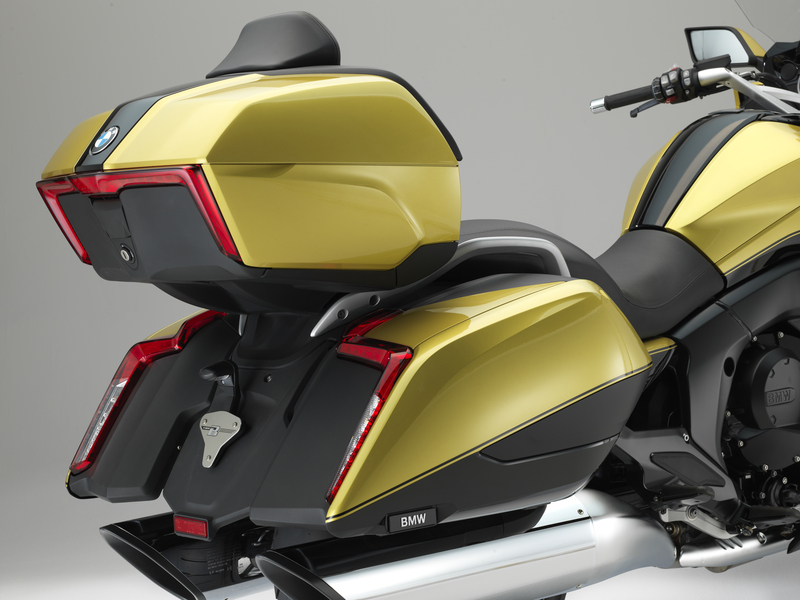 This appearance of the motorcycle‘s rear again highlights the US-inspired design of the K1600 Grand America. All lighting is produced by means of LED units. 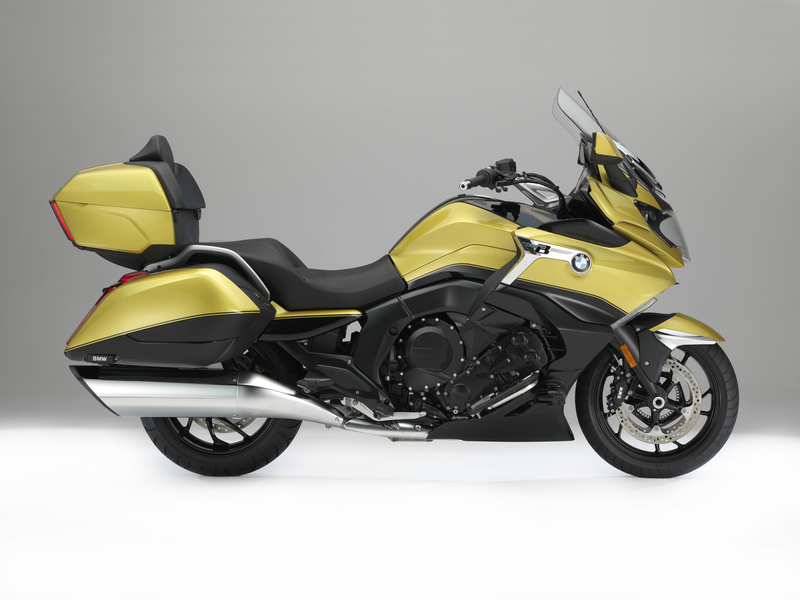 The K1600 Grand America is available in the colour Blackstorm metallic and, for a higher level of exclusivity, in the two-colour paint finish combining Blackstorm metallic with Austin Yellow metallic. For travelling long distances, the K1600 Grand America is equipped with a compact 6-cylinder engine, which has a power output of 118 kW/160 hp at 7 750 rpm and a maximum torque of 175 Nm at 5 250 rpm. Following the motto oft he "American Way of Riding", the maximum speed is limited to 162 km/h or 101 mph. The electronically controlled suspension Dynamic ESA offers a fully automated adjustment of damping which leads to highest comfort and best possible traction on almost every terrain. Reverse assist, as standard, facilitates manoeuvring of the new BMW Grand America. For a comfortable riding experience on extremely long distances, the K1600 Grand America is equipped with a relaxed seat position for the driver and the passenger. The model is fitted as standard with footboards for the driver which enable a pleasant "feet forward" posture. The low rear frame and the diminished height of the seat bench offer a relaxed sitting position to the passenger, too. Footboards for the passenger are available as optional equipment. 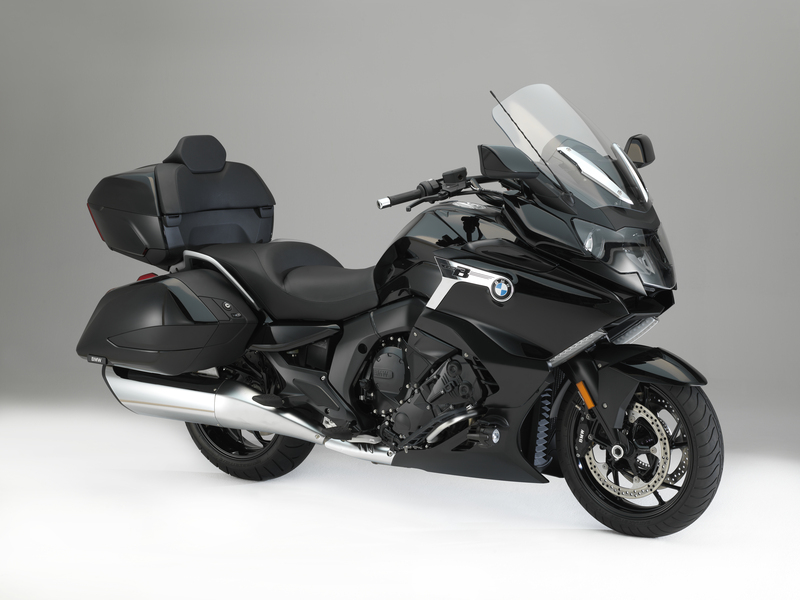 The standard equipment of the K1600 Grand America includes high-quality engine crash bars, heated grips and seat bench, cruise control, a particularly high windshield and an audio system with navigation preparation. Examples for available optional equipment are the Shift Assistant Pro, the eCall system Intelligent Emergency Call, a comfort and safety package, different seat bench heights and forged handlebars.